Yesterday, Virgin Mobile added the Reef to its lineup. 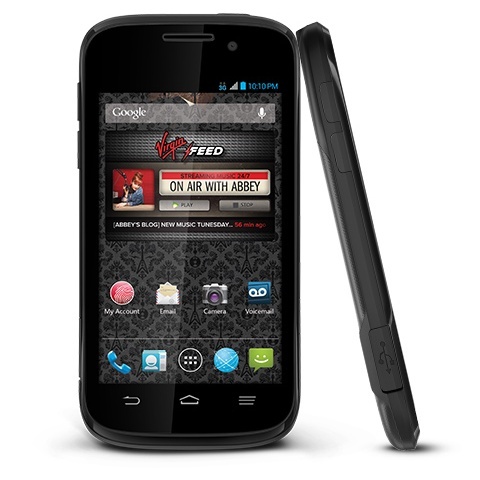 Built by ZTE, this is Virgin's first waterproof smartphone and features a 4-inch touchscreen. Advertised as "a smartphone that's not afraid to party poolside," the Reef is the first waterproof handset to join Virgin Mobile's lineup. This Android powered smartphone is made by ZTE and can spend up to 30 minutes in up to 3 feet of water, being IPX7 certified. Additional features include GPS, compass, light and proximity sensors, as well as built-in support for Picasa and for uploading videos to YouTube (a YouTube player app is also included). The ZTE Reef costs $149.99 (with free shipping and Virgin's 30-day money-back guarantee) without any contracts.